It all started when Adam decided to publish a graphical book about the end of the world. However, the writer realized he would need a skillful illustrator and that’s why he discussed that with his to friends Carl (developer) and James (writer). The three of them realized that it would be nice to create gatherings where creative people could meet up, share their passion and work together. The Lonely Arts Club organizes meet-ups in London for writers, designers, illustrators, developers, photographers, filmmakers, musicians, sound designers, innovators and any other professionals in the creative field. The three friends, creators of the club, told me they know it is easy now to find freelancers to do some work for your project but, it’s hard to find creatives who would collaborate with you on a project. It is more about building more social relationships and embark on your project people striving towards the success of the project rather than getting their work done and earning their money. 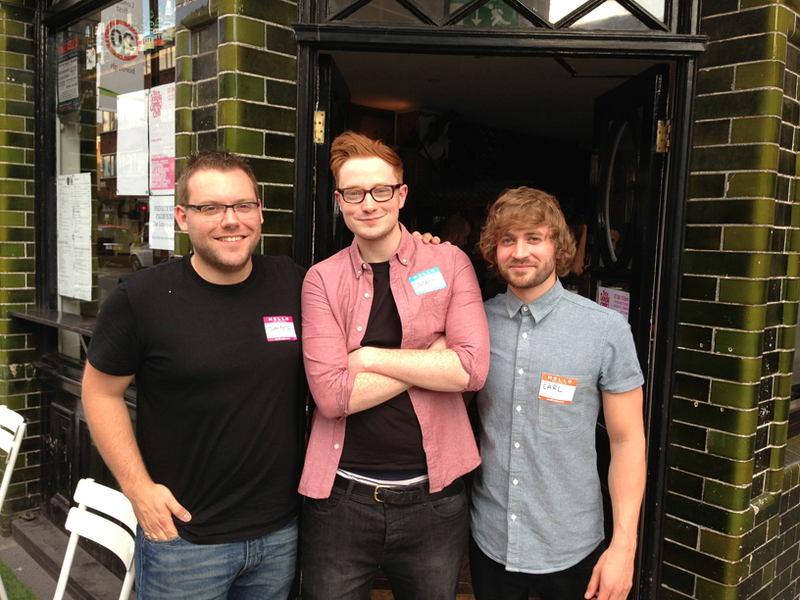 I attended the first gathering of the club in East London and that’s where I met Adam, Carl and James. Attendance was a bit low but, that’s how it starts. The concept is quite interesting and I wish The Lonely Arts Club the best for their future activities. Check The Lonely Arts Club Facebook page to stay updated about next meet-ups. The Lonely Arts Club first gathering. Previous Post How Much Do Celebrities Get Paid To Promote Businesses On Twitter?